Are You In A Hurry? 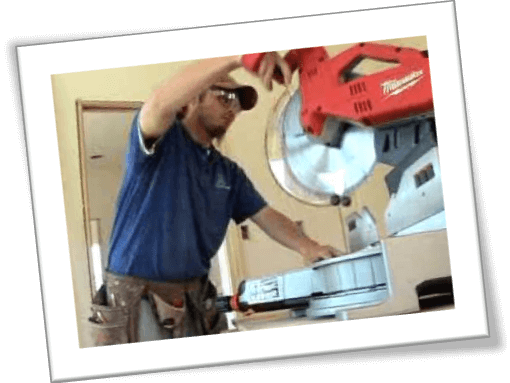 Here's A Quick Summary Of The Milwaukee Miter Saw Overview. This Milwaukee miter saw runs at 3200 RPM and can handle a max. bevel capacity of 48°. Milwaukee 6955-20 model comes with an enhanced Detent Lock system, dual integrated LED lights at both sides of the blade and a dust exhaust and collection system. Milwaukee also offers a 5 year limited warranty on each brand new order. This Milwaukee sliding miter saw is ideal for intermediate to mid-level professional wood working tasks. I might be taking a wild guess, but Milwaukee Co. is probably not used to releasing their products in the miter saw realm in frequency. It is a good thing because instead of competing head on with other miter saw companies, they took their time to do some research. 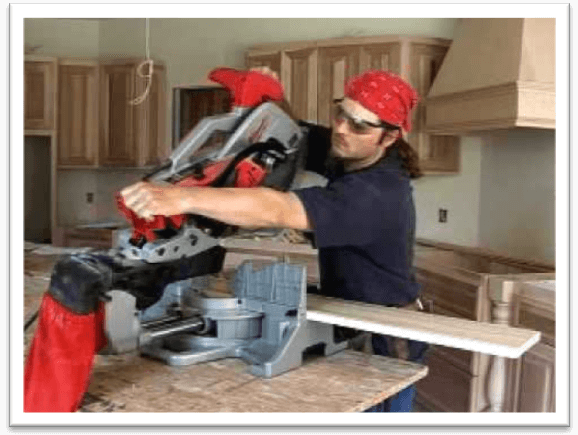 Eventually, when Milwaukee did release a miter saw, it was state of the art technology embedded with some of the most advanced feature. 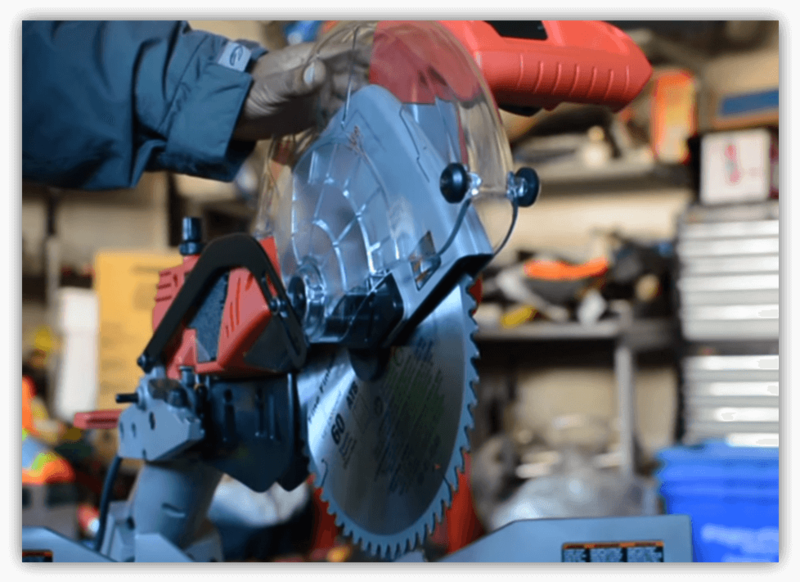 Today, I am reviewing the relatively new Milwaukee 6955-20 12 inch miter saw. It is a sliding compound miter saw that comes with the ability to make bevel cuts on both sides – i.e. you can tilt it on the left or the right side to make some beautiful angled cuts. On the same note, I have previously tried the company’s model 2630-20 circular saw with an overall above satisfactory results. Therefore, I had a feeling that this Milwaukee miter saw model won’t turn out to be a hyped up dismayed experience. Right off the bat, you are greeted with a gigantic miter saw with an average carry weight of around 77 Lbs. I know, it is heavy stuff and Milwaukee should have used lighter material, but I still appreciate where they took this whole thing. Speaking of weight, many guys were bickering at online review websites about the Milwaukee 6955-20 heavyweight profile, but it’s not a big deal when you look at other features. For instance, you get a digital miter scale, a LED projection system for guided/accurate cuts and extremely good build quality. It makes me think that the company was trying to create a miter saw with Bosch GCM12SD and Makita LS1016L standards in mind. The latter two are big names in the power tool industry. Perhaps Milwaukee Co. intentionally ignored the weight factor and wanted to install heavy-duty parts to emphasize on the longevity factor. Here’s the cool thing; Milwaukee calls it the constant power technology. It is something that helps to keep the blade RPM stable whenever you are engaged in aggressive cutting maneuvers. The technology is not new – I previously wrote about it while reviewing the Makita LS1016L Miter Saw. At roughly 3200 RPM, the blade speed is kept stable via a 15 AMP powerful motor. However, the good thing is that this Milwaukee 6955-20 model comes with a new and improved 12 inch miter – and that too is digital. Secondly, you are able to make bevel cuts over different tilt positions. Thirdly! Wait for it, this is the best part – this bad boy is compatible with dado blades. How cool is that? Dado blades offer a wide range of angled cuts alongside a possibility for making cuts in certain design shapes. In this context, the Milwaukee 6955-20 sliding saw is a complete package in its own league. As mentioned earlier, a Milwaukee 6955-20 miter saw weighs a lot as compared to competitor products. At 77 Lbs., you should ideally set this miter saw up at one place and that’s about it. The portability and transportation factor does take a toll as long as you don’t have a wheel lock table for these kinds of tools. On the other hand, the durability goes sky high. Many users, who have have been using this miter saw, have appreciated the product’s ability to take rough handling. 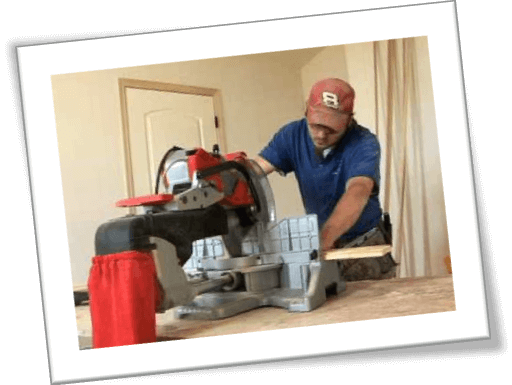 In fact, your entire wood working team can fully use the miter saw without holding any bars behind. The only way I see the portability aspect favoring the users is via rubberized handle grips. You can support the miter saw’s weight on the side of your hips if you are looking to move it around on a work site on your hand. But avoid that as much as possible. There’s no point in dropping this miter saw, and then paying for repairs. While it is true that this Milwaukee 6955-20 12 inch miter saw comes with an extended 5 year official warranty, the company won’t render it’s services if there are signs of physical damage. Rough Estimate of Performance: Whatever little time I had to test this Milwaukee miter saw, I tried to make as many cuts as possible. Straight line cuts, cross cuts and whatever one I could think of from a miter saw user perspective. I made over 100 cuts and each one of these cuts turned out to be precise. The downside to the Constant Force Technology is evident in the form of unexpected wood chippings. I avoided that in rest of the cuts by slowly engaging the blade’s contact with the wood. Entry level wood workers are mostly under the impression that by increasing the speed of feeding, they will be getting by with more work output. However, this is a malpractice and can severely damage the miter saw motor over course of a few weeks. The interesting thing is that the overall dust emission and collection was very good. Milwaukee 6955-20 miter saw comes with a stock sawdust collection bag. I did not have to empty this bag through the first hundred cuts. The amount of leftover debris is not that much; you can sweep it off the floor after you are done with your project/ day shift. Milwaukee Co. made no compromises on the trend of quality. The entire blade mount and sliding arm exhibits a very smooth motion – as in the side to side play is like moving a machine part in a liquid smooth action. The jitter effect in these movements can mess up the entire cut; you will only understand this once you have used a miter saw with similar mechanisms. The full range of mitering detents is up to a 60 degree angle – that’s comparatively more than what Makita is offering. With this freedom of movement, Milwaukee 6955-20 miter also enables users to fine adjust the miter angle with the Detent Override feature. 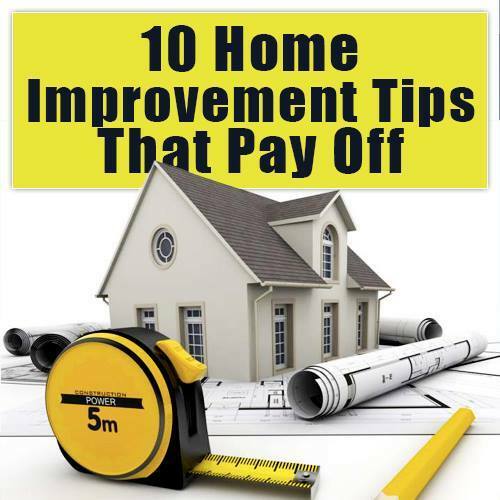 There are up to 9 different stops where the system can be used to lock the miter angle in position. Let’s say you want a specific angle, and you have tilted the overhead blade in that respective position already. Now you only need to press the desired notch to lock the blade head and miter scale in that position. The digital miter meter also shows the exact angle, which calls for high quality precision in my opinion. Miter scales are generally all manual, but Milwaukee innovated to take things to the next level. Oh, and by the way, the locking lever is installed on the front of the miter saw. Some power tools were introduced in the market with the lever installed at the side or the rear end of the product. People bickered over it, and companies switched to a more “convenient” lever installation location. Milwaukee 6955-20 duel slide miter saw comes with a dust collection and exhaust system. Basically, whenever you make a cut, the sawdust gets sucked in via the built-in exhaust, and goes all the way to the connected collection bag. Sounds complicated right? Technically, it isn’t. You just have to mind your work while the miter saw makes sure that the sawdust is getting piled up in a safe area. The only downside to this sawdust and debris collection is the small storage capacity. On the box, and in promo commercials, Milwaukee guys said that the miter saw has a dust storage capacity of up to 75%. It turns out that the actual storage is limited to 50% of what the company claims. Regardless, it is a good thing as long as you don’t have to worry about cleaning afterwards. For a more capacitive experience, Milwaukee is offering an add-on bag for an extra $20. This is perhaps the most anticipated part of owning a Milwaukee 6955-20 series miter saw. Dado cuts are something which not every other manufacturer is able to pull. The company installed dado cut stops, which make it easier to switch back and forth between cuts of different depths. This is a neat and much sought after feature. On the other hand, the LED light is your usual turn on/ turn off switch based feature. Milwaukee Co., however installed the projection system on both sides of the blade. This is definitely a huge improvement for people who had previously complained about left handed or right handed, or standing on one side of the blade and whatever. Pair it all with the LED nature of the bulbs; you are looking at minimum replacements. However, I’d implore you to buy an extra bulb for rainy days. You may need to replace the stock LED bulb on the Milwaukee 6955-20 miter saw after 1 or 2 years. God forbid, if they are no longer being manufactured, you will have no alternatives to go for. Heavy duty miter saw with a high degree of reliability. Can take one helluva’ beating at work site. Dual integrated LED lights at both sides of the blade. Digital miter scale with enhanced Detent Lock system. Wide range of bevel cut motion. Milwaukee is offering 5 year limited warranty on each brand new order for this Milwaukee miter saw. Dust exhaust and collection system. Not easy to move from one location to another. Price is relatively higher than other miter saws in the market. You can, however, buy a slightly used unit if budget is your concern. On a scale of 1 – 10, I will give a staggering 9 rating for the Milwaukee 6955-20 12-Inch Sliding Dual Bevel Miter Saw. The fact that this bad boy has an amazing build quality that even puts Fort Knox security to shame is more of a pre-seller for me. This Milwaukee miter saw is ideal for intermediate to mid-level professional wood working contracts.